Waaree Energies is the flagship company of Waaree Group, founded in 1989 with its headquarter in Mumbai, India. It has India's largest solar PV module manufacturing capacity of 1.5 GW at its plant in Gujarat. Waaree Energies is amongst the top player in India in providing EPC services, project development, rooftop solutions and solar water pumps and also as an Independent Power Producer. Waaree has its presence in over 250 locations nationally and 68 countries internationally. The company has many factors that makes it a leading company in the segment. First and the foremost being India's largest module manufacturing capacity of 500 MW. It has already executed more than 300 MW of EPC projects. Additionally, it has more than 3,000 projects in the rooftop, pumps and telecom segment across 110 locations. It has a strong manpower of 600 professionals working across the globe. It has an order book to the tune of more than 200 MW. Apart from this, in a first-of-its-kind initiative to support the government's efforts in achieving its ambitious solar power generation target of 100 GW by 2022, Waaree Energies plans to open around 1,000 solar experience centres in the next one year across India. The plan is to meet the growing requirement of electricity from the rural and un-electrified regions across India. The company sees an addition of Rs 5 billion to its topline from these centres in FY19. The solar business that was earlier dependent on the MNRE-funded subsidies has become financially viable in the last couple of years for both, the developers and the customers. 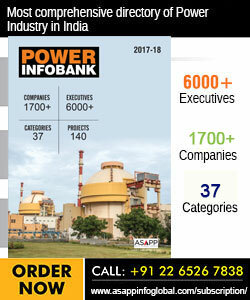 The company believes that the government-sponsored schemes such as UDAY for the improvement of the financial health of state DISCOMs will compel people in rural and semi-urban areas to save for electricity as an important expense, creating a huge demand for untapped electricity for power generators. There are two types of revenues from the business, first for the business partners who are expected to break even in less than a years' time and an additional top-line of Rs 5 billion for the company in FY19.Waaree's total manufacturing capacity will grow to 1.2 GW at the end of March from the existing 750 MW of panel manufacturing capacity.